Over 75% of the plants sold here are grown in the nine greenhouses located on the property. Please plan to visit Flowers’ Garden Center for your spring planting. "Buy Direct from the Grower"
If you live in the Nashville area and want to stay local buy from Flowers’ Farms. Flowers’ Garden Center has been serving the Nashville area since 1928. We offer a variety of locally grown plants for gardens and flower gardens. We also carry the equipment for fish ponds. 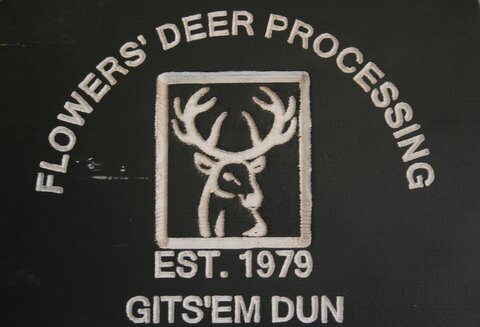 Flowers’ Deer Processing has been in operation since 1979. We process deer in a unique fashion which is unlike many other processors. When you drop off a deer, your name stays with the deer so that you get your meat back. We believe you deserve the quality meat you bring in. Additional information about the Garden Center and Deer Processing are provided under Products. You will find dates, hours, prices, options on those pages. Give us a call during regular business hours if you have any questions. We will be happy to assist you. We invite you to join us for The Scottsboro/Jordonia Antique Tractor and Engine Show! Coming up September 16th.